Renovation of the Metro Council chamber began in November to provide expanded seating and state-of-the-art audio and video equipment in the chamber. The work is scheduled to be complete this summer. The Metro Council will have a new Council Chamber by this summer, which will provide more seating for the public, new voting equipment, and a state-of-the-art audio-visual system. It will provide the public with a greater opportunity to observe deliberations and participate in the proceedings, according to City-Parish public information officer Dennis McCain. McCain said the current Council Chamber was constructed in the 1970’s and is overdue for renovation. He said he hopes the Metro Council will have one of the finest council chambers in the nation. 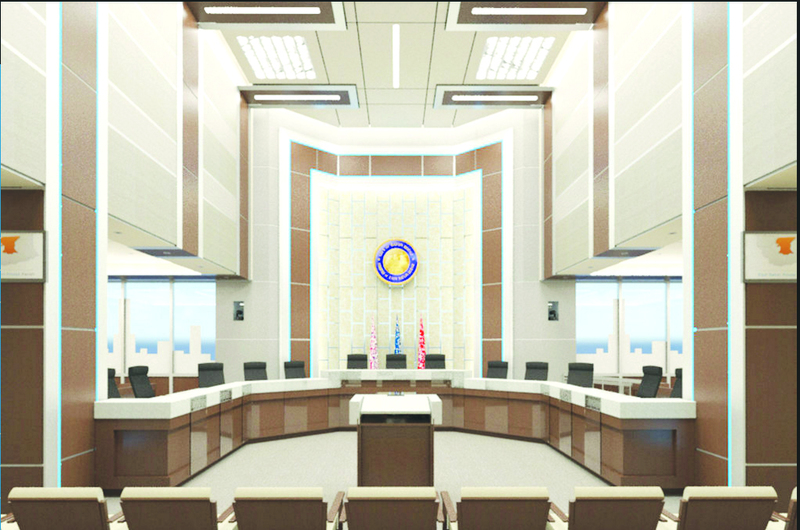 The life expectancy of the new chamber should be 25 to 30 years, he said. 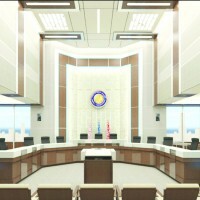 The first phase of the project was to rebuild the council chamber and increase seating for the public. The second phase is primarily the enhancement of audio-visual services. Over the past few years, broadcasting has made the transition from analog to digital, and the changes will allow the chamber to go digital as well. The upgrade includes new voting equipment, new recording equipment, cameras, microphones and AV equipment. The project could be complete as early as May 31, but the contractor could take as many as 21 additional days for completion. The Metro Council wanted the media production booth which has been at the entrance to the chamber, to be moved to a 4th floor gallery which will overlook the chamber. The public will be able to register to speak on an item on the agenda before they enter the chamber.The estimated $1.4 million cost of the project is not being provided by general tax revenues but from franchise fees paid to the City-Parish government by cable providers such as Cox and AT&T. Federal law allows local government to impose Public, Educational, and Government (PEG) fees on cable providers. Those fees can only be used to allow the public to have greater access to educational or government facilities. Construction on the project began in November. Design was by Grace Hebert Architects. Audio-visual equipment is being purchased through state contracts with Technical Services Group providing installation.